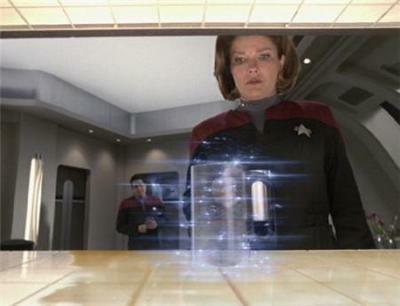 Lemon Harangue Pie: Star Trek replicator one step closer to reality? [S]ome people in the business have been calling it "the factory of the future," said Jon Cobb, vice president of global marketing for Stratasys Inc., an Eden Prairie company that makes 3D printers for companies like VistaTek. "You don't have to have a lot of tooling or a lot of inventory on hand," he said. "You design the product, input it and it prints out quickly." ... For many years, rapid prototyping occupied a niche, usually tucked away in the basement of corporate laboratories or small outfits like VistaTek. But in the past few years, as technology has improved and costs have come down, 3D printing is being used more often to make parts for sale. The parts usually don't require high-volume manufacturing. The F-16 fighter jet, for instance, has about 30 parts that are made via 3D printing, experts said. The uses aren't limited to the military or the industrial. Some entrepreneurs have created companies to use 3D printers to make almost anything: fantasy figurines for computer games like World of Warcraft, one-of-a-kind jewelry, table settings, light fixtures, custom-fitted artificial hips and dental implants such as crowns and caps. This kind of 3D printing has even been used on King Tut. A CT scan was run on the original mummy, and then an exact 3D copy was "printed" out. The reproduction is currently on display at the Science Museum of Minnesota.